For three fun-filled days, The Hurlingham Club was home to the Aspall Tennis Classic. 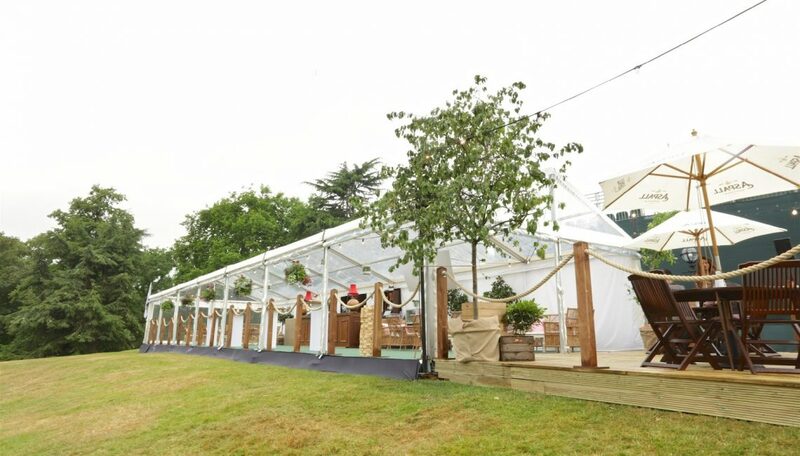 Lightning designed and built all elements of the Aspall Orchard Bar, alongside Key Structures who provided the marquee structure, and Inception Group who ran the bar. Our brief was to create an eye-catching English Orchard and Bar area, in-line with Mr Foggs Tavern and Aspall’s Brand values. The stylish decking area provided the perfect spot to enjoy a deliciously refreshing cocktail. It was a pleasure working with the team from Aspall and Inception Group, we loved creating a stand-out space for their VIP clients to enjoy the Tennis Classic. Leading British fashion label Ben Sherman launched their SS18 collection during London Fashion Week Men’s, showcased at one of our favourite London venues, Two Temple Place. Lightning provided all technical production, runway backdrop and branding for this 2 day launch across three different spaces. We particularly enjoyed the experience of staging a catwalk runway and look forward to working with more fashion clients in the future!